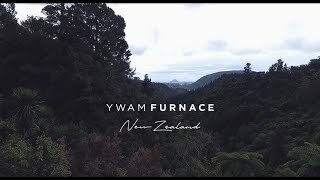 We – YWAM Furnace New Zealand (YFNZ) – regard your privacy as important. Our primary source of personal information about you is when you submit it to us yourself and give us your explicit consent. 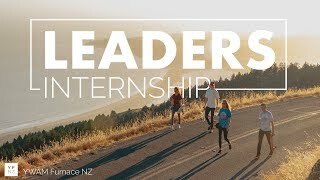 By visiting our website (www.ywamfurnace.nz), initiating contact with us, or starting an application for one of our training programs or events (collectively, the “Services”), you are accepting and consenting to the practices described in this policy. Communications. If you contact us directly – through our website contact forms, phone, email, or social media – we may receive your email address, phone number, name, and content of the message and attachments you send to us. Payments. When you make a payment for a program or event, or when you process a donation to a project, ministry, or person, we save your name, email address, and message attached to the transaction so that we can allocate it accordingly or contact you if need be. Newsletter. If you request to receive updates about our ministry and training programs, we will save the contact details you provide us with. Events. If you register for an event organized by YFNZ, we will save your contact details and other information that will be asked of you upon registration in order to reserve your place and keep track of payment of event fees. Application Forms. When you apply to one of our training programs, we save your name and contact details as well as further personal information that we require to determine whether or not you are a suitable candidate for the program in question. We also save physical copies of any waivers or agreement forms you sign that are required for your acceptance to the program. University of the Nations. 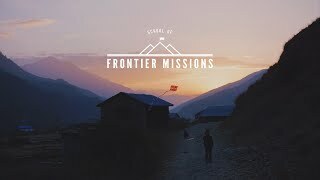 When you initiate an application for one of our training programs, we may review your training history with the University of the Nations (UofN) (www.uofn.edu) or the Youth With A Mission (YWAM) training location(s) that you did a prerequisite program at to make sure you are qualified to do further training within YWAM. Personal references. As part of applying for a program, we also ask you to have people of your choosing send in a personal reference to help us determine whether or not we deem it appropriate for you to attend the program that you’re applying to. 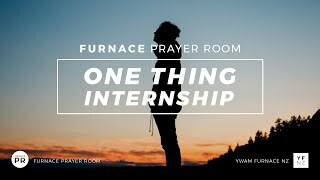 These references may comment on your character, history of previous involvement with Christian ministry, and overall suitability for the program in question. We’ve made a conscious decision to not collect personal data unless it’s needed to follow up with you after you first initiated contact with us. Our site analytics (Google Analytics) is anonymized so that all data that we use for website statistics is anonymous and can’t be traced back to who you are. University of the Nations. As training courses offered by YFNZ are accredited by the UofN, with your consent we share required information with them for you to receive the proper credits for the pursual of higher education and formal degrees within the UofN. The UofN is a decentralized, international educational institution with its international offices located in Kona, Hawaii, USA. Travel Agents. We also share the necessary personal information and identification with our travel agents to make airline bookings for the outreach portion of your training program. We partner with a local travel broker here in Tauranga, New Zealand (www.travelmanagers.co.nz). We may also share information publicly on our website or through social media with your explicit consent in the form of testimonials, reviews, or your general experience attending our programs. We may store your information in hard copy or electronic format, in storage facilities which we own and operate ourselves, or that are owned and operated by our service providers. YFNZ is committed to protecting your information. To do so, we employ a variety of security technologies and measures designed to protect information from unauthorized access, use, or disclosure. The measures we use are designed to provide a level of security appropriate to the risk of processing your personal information. However, please bear in mind that the Internet cannot be guaranteed to be 100% secure. We retain your personal data for so long as is necessary with regard to the purposes for which it was collected or lawfully further processed, or for so long as may be necessary in light of our legal obligations (for example, to provide you with our Services or to comply with applicable legal, tax, or accounting requirements). What can I do about the information you have about me? You may revoke your consent of the processing of your data at any time by contacting us. You may also ask about data we hold about you, for you to review or ask us to correct or delete that information. You may opt-out of any newsletters we send you and exercise this by clicking the “unsubscribe” link in the emails. You also have the right to complain to your local data protection authority about our processing and collection of personal information. We respond to all requests we receive from individuals wishing to exercise their rights in accordance with applicable data protection laws. How do I get in contact with you about this? Feel free to contact us if you have any questions about how we handle or store your personal data. All means of getting in touch with us are listed on our website’s contact page and you can always reach us at privacy@yfnz.org.